Often referred to as the ‘Gateway to the North’, Newry has evidence of continual human habitation from as far back as the Bronze Age. It is believed the community of that time produced detailed jewellery for garments, some of which the Ulster Museum currently hold today. The name ‘Newry’ is derived from ‘Iubhair Cinn Tragh’ (which translates as the Yew tree at the head of the strand). The connection with the yew tree relates to an apocryphal story where it is thought St. Patrick planted a yew tree along the Clanrye River in the 5th Century when he set up camp alongside it.The dark green fronds of the yew tree were believed to have been a symbol of growing faith, as they pointed towards the heavens. St. Patrick is credited with planting the first religious foundations in Newry, as he founded a monastery,which was built beside the yew tree. In 1144, St. Malachy established a Benedictine Monastery on the site of the earlier foundation but by the end of the following decade the Benedictines had been superceded by the Cistercians who established their Monastery under the terms of a charter granted in 1157 by Muirchertagh MacLochlainn, King of the Cenel Eoghan. The Cistercians, of French origin, were quickly followed into the area by their compatriots, the Normans. In 1539, English mercenary, Nicholas Bagenal fled to Ireland to escape English justice after being implicated in killing a man in a brawl. He fought in the service of Conn Bacach O’Neill and was granted a pardon as part of the negotiations between O’Neill and Henry VIII who was at that time attempting to bring the Gaelic lords within the control of the Crown. Bagenal returned to England and after having fought in the war against the French was granted the title of Marshall of the King’s Army in Ireland. Following the dissolution of the Cistercian monastery, Edward VI granted its lands to Nicholas Bagenal. Bagenal built a fortified house in 1568 which after being subsumed into the fabric of McCann’s Bakery is now once again exposed and houses Newry and Mourne Museum. In 1578, Bagenal erected Saint Patrick’s Parish Church, which is believed to have been the first purpose built Protestant Church in Ireland. 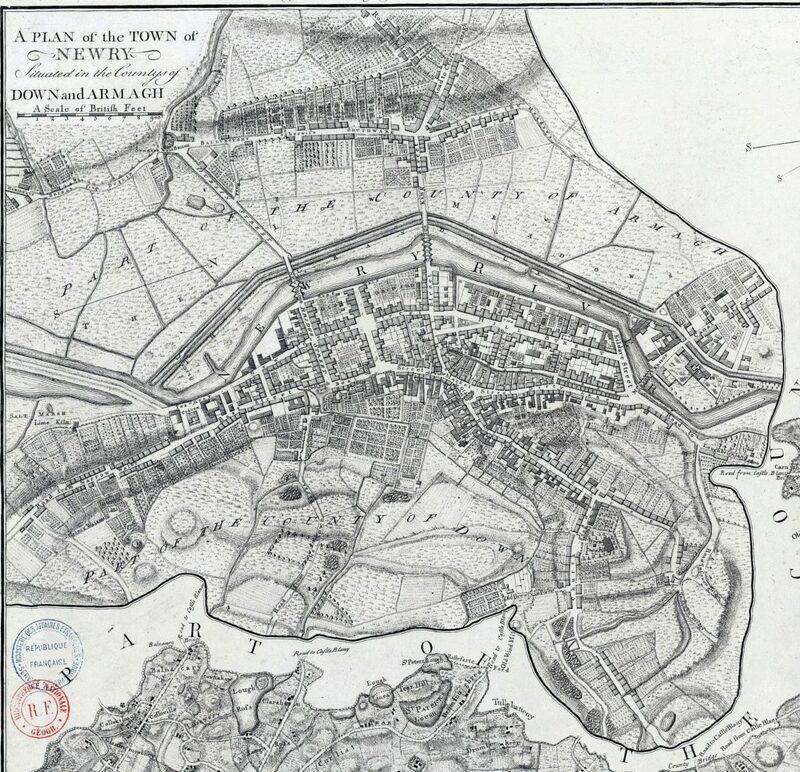 the maritime importance of the town was enhanced by the completion of the Newry Canal in 1742, famous for being the first summit-level canal in the British Isles. It was primarily built to transport coal from Tyrone to Dublin as a means of reducing reliance on imports of costly coal from Britain. After an initial period of productivity, output declined and the coal mines closed down. 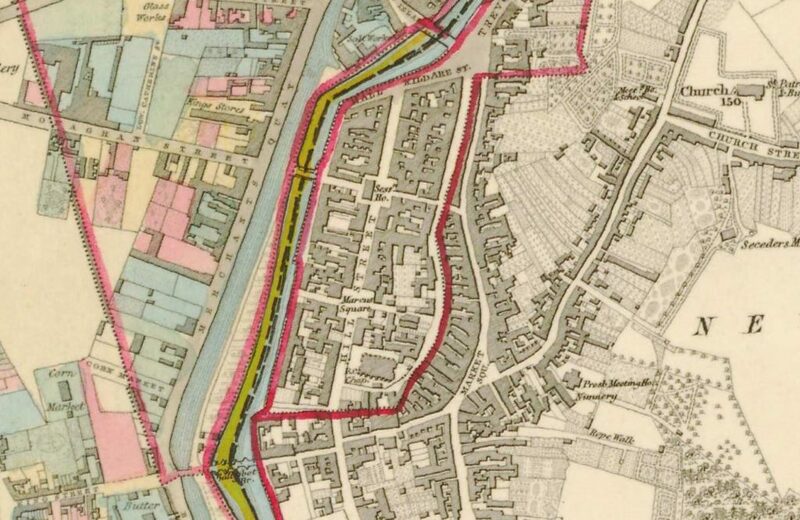 The most successful period of the canal was during the 1840’s when a variety of goods such as linen, butter, meat, coal, bricks and tiles were sent downstream to Newry, with a reverse traffic of grain, flour, flax seed, imported foodstuffs, whiskey, timber, oil and tobacco carried into mid-Ulster. For over a hundred years Newry became the busiest port in the north, transporting it from small port to an international trading centre, trading with America and Europe. The commercial growth of Newry increased its political influence, ensuring it became a major urban centre in the 19th Century. 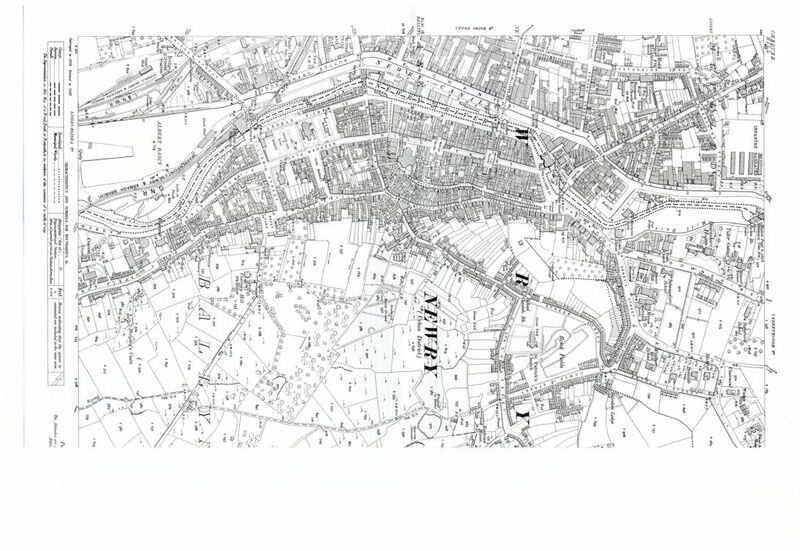 In 1815 Newry’s growth as a trade centre continued as a new Customs House and Merchants Quay were built. In 1819, the Church of Ireland worshippers in Newry were split as work was completed on St.Mary’s Church on Hill Street, which had been built to replace The High Church, Saint Patrick’s. The dispute between them was eventually resolved in 1866 when Saint Patricks was fully restored. In 1829, work was completed on the Cathedral of St Patrick and St Colman. Located on Hill Street, it was the first Catholic Cathedral of its kind to be opened after Catholic Emancipation, a cause championed by Daniel O’Connell. Throughout the 1900’s Newry continued to be a strong area for business and trade, due to it’s positioning between Belfast and Dublin. Today, Newry is host to many successful international businesses, such as Glen Dimplex, First Derivatives and Norbrook Laboratories. In addition, Newry has a reputation as being one of the best provincial shopping- towns in Northern Ireland, with two thriving shopping malls, The Quays and the Buttercrane Centre and is home to one of the largest Tesco superstores in Northern Ireland. As well as being a significant city for business, Newry is also a bustling centre for the arts. The Sean Hollywood Arts Centre is situated in the centre of Newry, with two theatres, art Galleries and numerous dance studios, which host various plays and musical events. In March 2002, Newry was granted city status as part of Queen Elizabeth’s Golden Jubilee celebrations.